San Diego, California, May 1, 2017 - Southwest Antennas, an industry leader in innovative rugged antenna products, has released a new line of Omni-directional antenna solutions designed specifically for existing and upcoming JTRS military radio waveform standards that utilize the UHF, L, and S Bands, such as the Wideband Networking Waveform (WNW) and Soldier Radio Waveform (SRW). Designed for use on handheld or manpack radio systems, these antennas are focused on the band-specific needs of current warfighters and are fully compatible with deployed radio units currently in use, in addition to new radio systems that are under development. 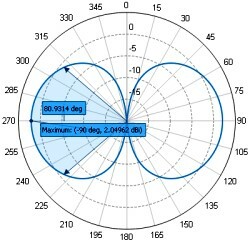 As radio waveforms are upgraded to add system features in the coming years these antennas can continue to be utilized on existing radio systems without issue. Southwest Antennas products are built to stand up to harsh outdoor operating environments anywhere in the world, featuring rugged flat black radomes and non-rotating TNC(m) RF connectors, along with a choice of integrated RF coaxial gooseneck or Ultra-Flex sealed spring base. Once mated to a radio's RF connector, these antennas are waterproof to resist rain, mud, sand, and salt water while operating in extreme environments. To improve antenna performance and operator usability, these antennas feature rugged cylindrical fiberglass radomes that are only .562" OD. The cylinder shape provides the antenna additional strength and eliminating issues where "paddle" shaped antennas don't lie flat against the operator's kit. This mechanical design coupled with proprietary antenna tuning technique ensures excellent performance across the broadband and improved antenna efficiency. Other RF connector options are also available, including Type-N(m), RP-TNC(m), SMA(m), and others. Contact Southwest Antennas to discuss your connector requirements. Additionally, Southwest Antennas manufactures rugged low-loss magnetic mount solutions for military radio systems operating from DC - 3.0 GHz (and above). Our magnetic mount kits give operators the flexibility of rapid antenna deployment in the field, with the ability to quickly reposition or remove the antenna and mount as field conditions change. The integrated magnetic base can be securely attached to most ferromagnetic metal surfaces, including vehicles, tables, posts, pillars, or other flat surfaces. A field-replaceable black neoprene cover prevents the magnetic base from damaging painted surfaces.